But is it Structurally Feasible? 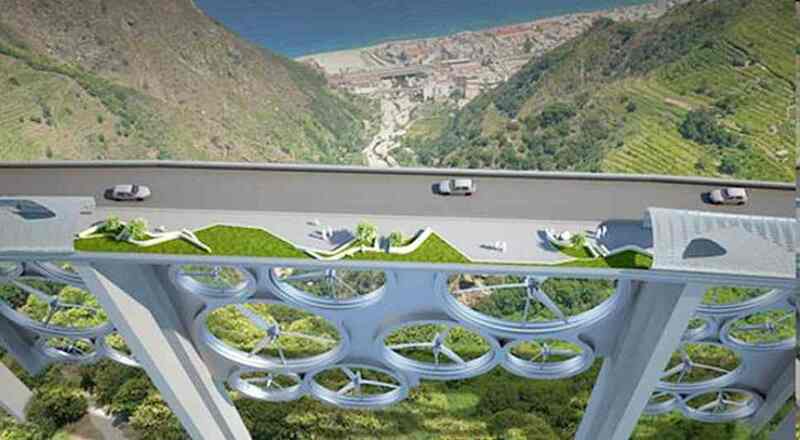 My son sent me a link with some really cool pictures of a solar bridge concept. Part of an Italian contest for designers the energy bridge was designed by Francesco Colarossi, Giovanna Saracino and Luisa Saracino. 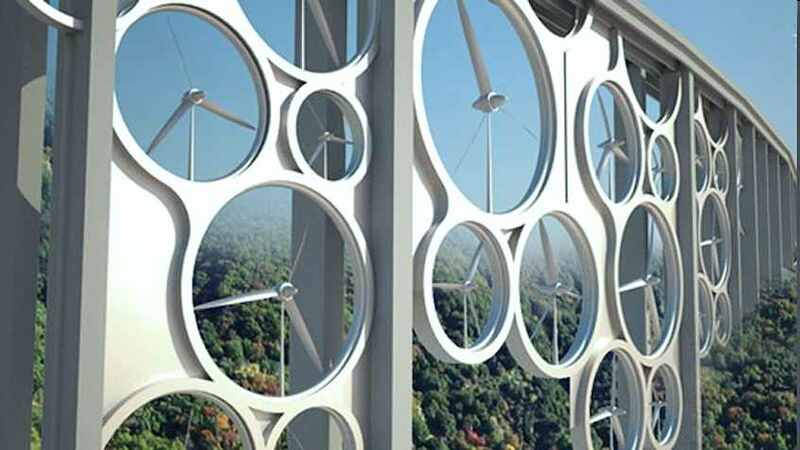 The concept is to have solar cells embedded in the roadway plus a colossal array of 26 turbines arranged between the support pillars. According to the designers it would power some 15,000 homes. 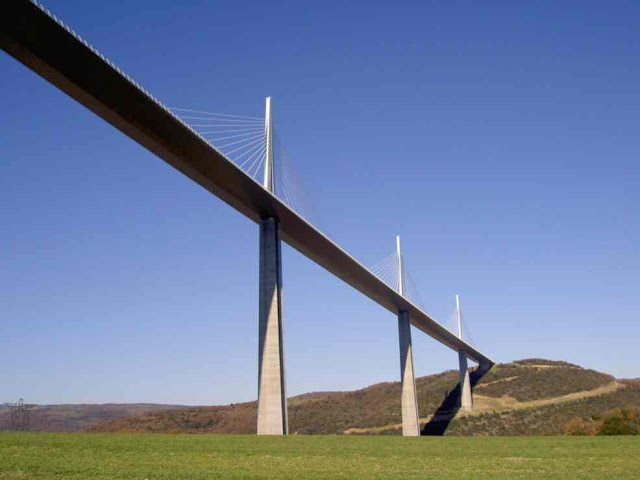 The published pictures immediately put me in mind of one of the loveliest bridges I ever visited, Millau Bridge in France. I made the trip there especially to see this wonder of engineering and beauty and I was not disappointed. The concept pictures are very pretty but I would imagine that the designers, while good at design, are no engineers. I immediately see a huge problem with wind pressure on the structure. No tall bridge would be designed to take the massive extra wind side loading, especially in storms.